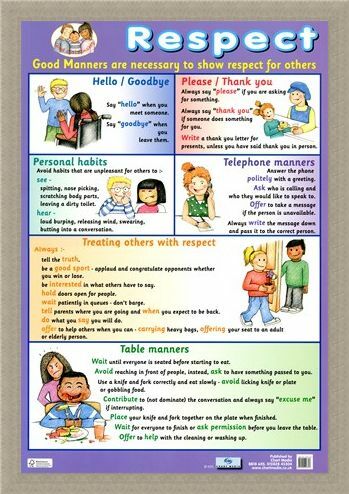 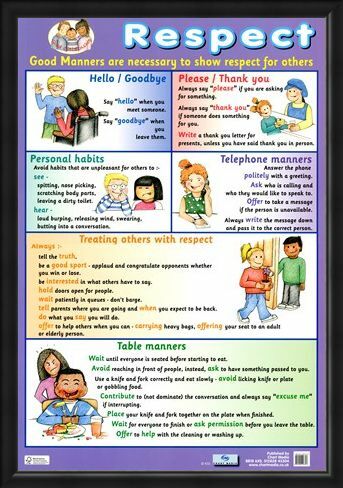 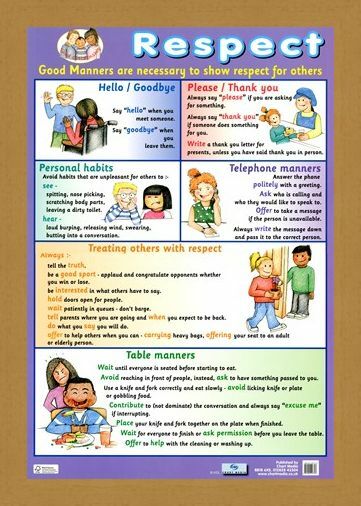 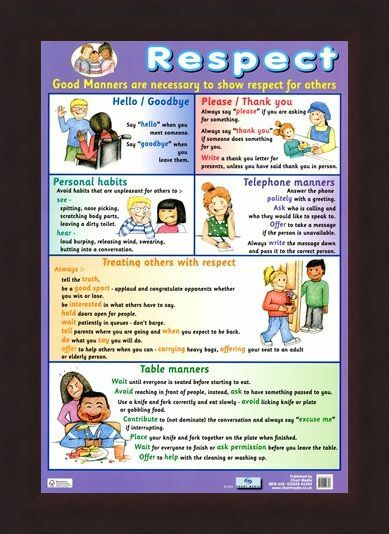 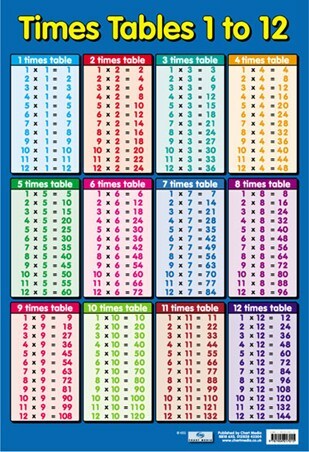 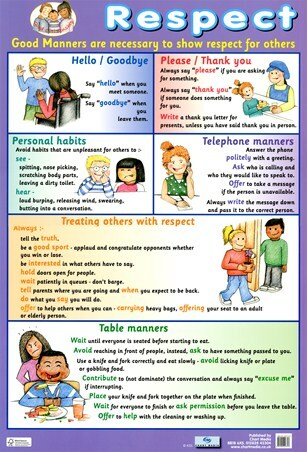 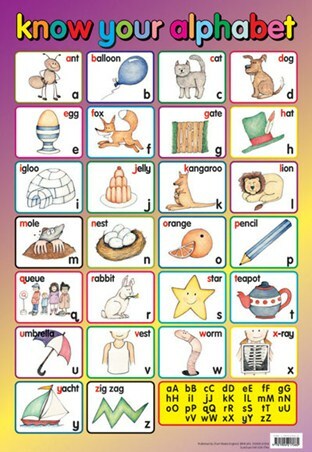 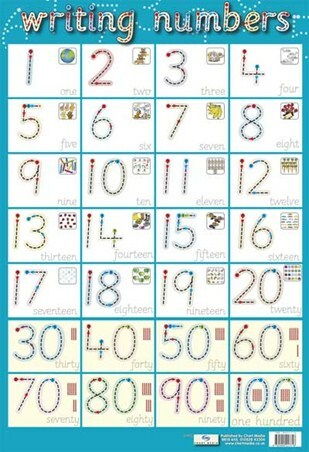 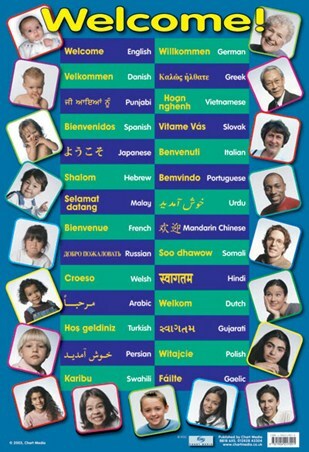 Educational Mini Poster: Help your child to learn good manners the fun way with this glossy mini poster. Featuring a wide range of examples which cover telephone manners, common courtesy and table manners as well as many more, each section is completed by a colourful illustrations which shows the best (and worst) ways to make new friends. 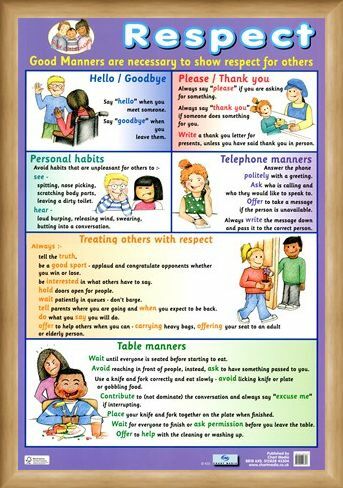 Perfect for schools and homes, this poster will ensure that children of all ages enjoy the benefits that come from being polite and respectful to others. High quality, framed Respect, Good Manners mini poster with a bespoke frame by our custom framing service.